Sprint held a special event for journalists and analysts alike at the TAO nightclub in the Venetian Hotel Tuesday night. The main event? The carrier's brand new LTE Android smartphones. 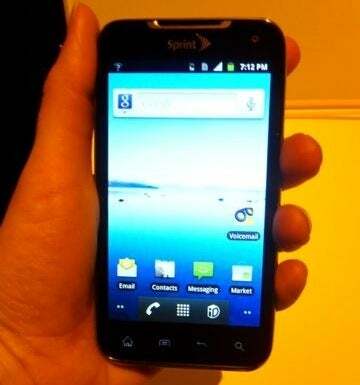 I managed to get my hands on both the LG Viper 4G and Sprint Galaxy Nexus at the event; while this is by no means a full review, I liked what I saw from Sprint's newest offerings. 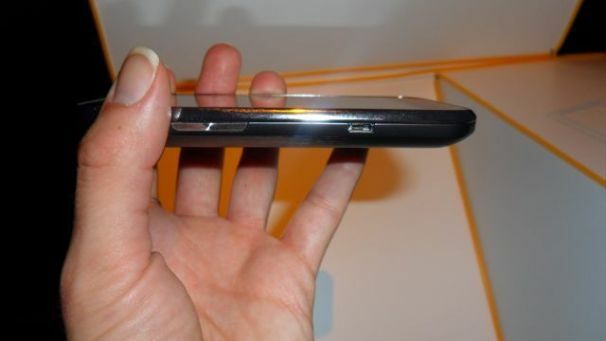 Aside from support for Google Wallet, the Sprint Galaxy Nexus is identical to the version found on Verizon. You still have a dual-core 1.2GHz processor and the phone still comes with Android 4.0 (aka Ice Cream Sandwich). We weren’t able to test outits LTE performance, so we’ll have to wait until the phone launches in mid-2012 to test that aspect. Unlike the Galaxy Nexus, the LG Viper is a new LTE phone that LG announced Monday morning. The Viper has a brushed-metal back, and it felt lightweight yet sturdy in hand. LG says it's an eco-friendly phone--35 percent of the plastic on the phone is recycled. The Viper has a 4-inch WVGA NOVA screen (a type of display technology), which Sprint tells me is brighter than what is on the Galaxy Nexus. The Viper will ship with Android Gingerbread, but Sprint assured me it would be updated to Ice Cream Sandwich soon after it gets released. The Viper is built around a dual-core 1.2GHz Snapdragon processor and has 512MB of RAM. The model Sprint had on display didn’t have any games I could use to test the phone, but opening up several apps (Google Maps, Gmail, and the Camera) at once did little to slow the phone down. The Viper will run on Sprint’s LTE network, but as is the case with the Nexus, I wan’t able to test out the Viper’s LTE performance. Speaking of the camera, the Viper has two: a VGA front-facing camera for video calls and chats, and a 5-megapixel camera on the rear of the phone. In the dimly lit nightclub, the photos I took came out looking great. Unlike other phones I have seen, the LED flash did a good job in the low light and didn’t over-expose any of my subjects. The Viper has an onboard NFC chip and, much like the Galaxy S and Galaxy Nexus, the Viper will support Google Wallet. Both phones should launch around the middle of this year, but we couldn’t get an official launch date or price for either device. We’ll be sure to keep you updated as we find out more about these phones and Sprint’s new LTE network. The LG Viper has a stylish, eco design with a speedy processor, but you may not be able to utilize its 4G LTE speeds any time soon.